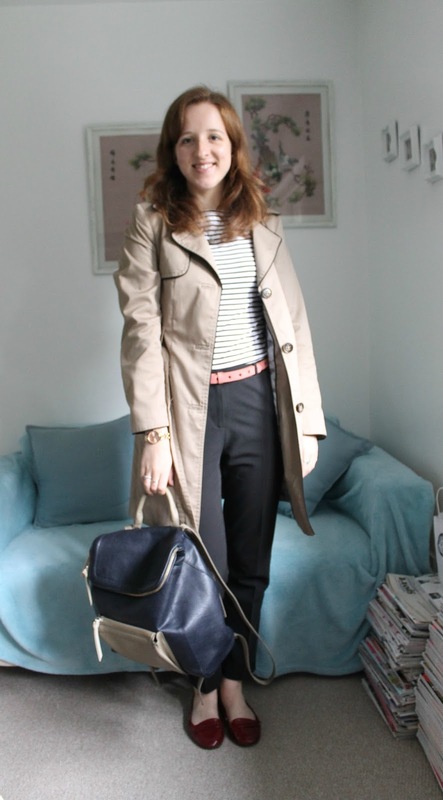 Sometimes it's the simple outfits that are the best, and of course anything with stripes. I wore this a few weeks ago to work when I had a lot of meetings and a generally busy day! Personally, I don't wear a lot of trousers and jeans to work because I have so many dresses and skirts to keep me going throughout the week they get forgotten. 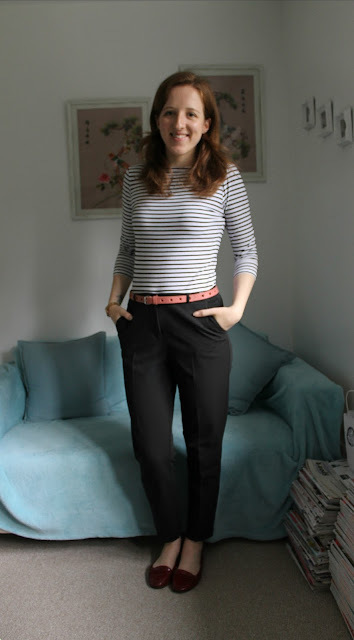 Wearing black trousers reminds me of school, although I had these awful black flared trousers that ended up really faded and with all the elastic coming out. Those were the days. And wearing either a too short skirt or too skinny trousers would get you in so much trouble if a teacher spotted you. I still don't get how that really affected my learning, but hey ho! My lovely sister gave me this belt ages ago and I love wearing it. Although it's more for wearing on your waist, I've fashioned it as a normal belt too. It breaks up the top from the trousers and adds another pattern and colour to the mix. I imagine it's going to be one of those fail-safe outfits I can wear on lazy days to work! What do you think of this outfit? Love or hate trousers for work?